The competition in Smartphone marketplace is hotting up like never before. With the release of iPhone v4 and the lining of latest and smarter phones available on Android, Windows Mobile, Blackberry, Symbian and stuff like that, it likely to further intensify and looks like the this decade is going to open up the sector in a similar fashion to what the last decade has been to desktop computers. And with this exponential growth in the smartphone marketplace, the interest of malware developers and distributors is just next thing to happen. And now it is evident by data also. Report from the noted smaprtphone virus removal service Lookout, show that within six months the attacks against Smartphones have more than doubled. 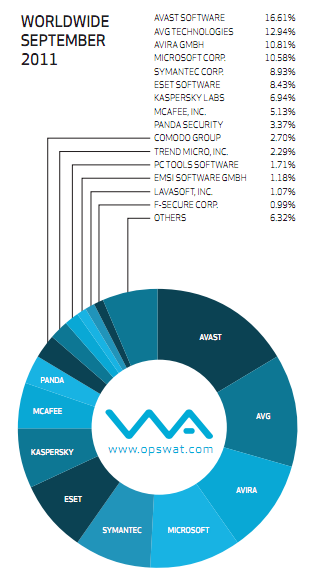 Across our installed base, we’ve gone from seeing 4 pieces of malware and spyware per 100 phones per year in December 2009 to 9 per 100 phones per year in May 2010. That’s more than double the prevalence of malware and spyware on smartphones in less than 6 months. 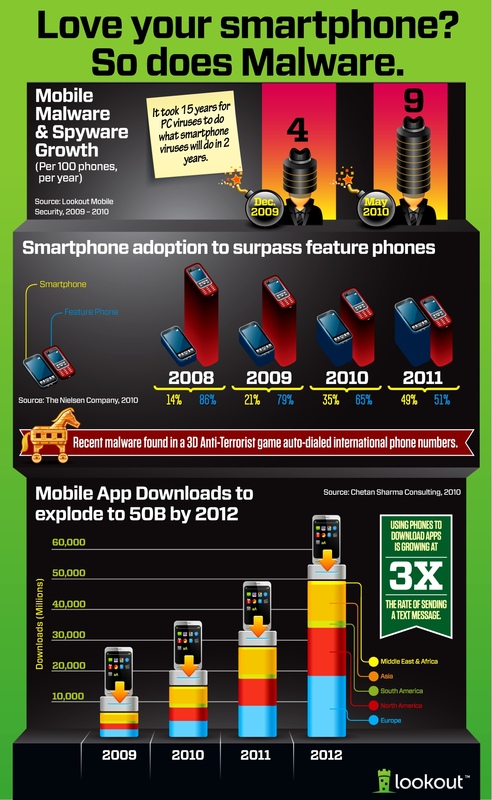 Here is a nice pictorial representation of some of the interesting facts about the growth of smartphone malware in recent past.